There are many natural cancer relief methods that have been suppressed and condemned by the mainstream establishments. One among them, which has been studied extensively recently, is the Indian spice: turmeric. 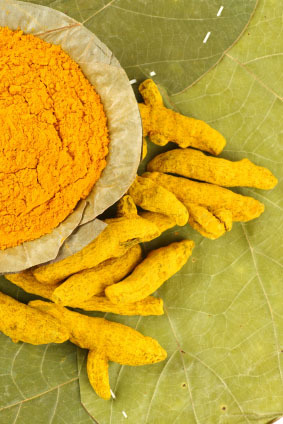 Turmeric has been shown to be very effective in cutting off blood supply to the tumour mass. Used in early stages, it might completely suppress cancer growth. Turmeric has also been shown to minimise the chemotherapy side-effects to make life easier for victims. Turmeric also has an effect in defending the body against a variety of diseases like infection, dementia, acne and a long list of 560 other diseases. Every grandmother knows about turmeric’s effect on common cold and related viral diseases. In fact, companies have not seen a single insurance claim from Jaipur in years. Given the level of awareness, it’s not a surprise. Customers unaware Most homemakers were completely shocked when DNA told them about the insurance cover available on LPG cylinders. “I never knew that such damages could be claimed from the gas agency,” said Varsha Singh. Ignorance pays only the insurers Every month, nationalised insurance companies get lakhs of rupees as premium and this amount increases constantly with an ever rising number of ignorant consumers, each of whom are covered in part by the Oriental Insurance Company and the gas agency concerned. Sometimes, the managing committee of your co-operative housing society refuses to give you crucial documents or information. This happens when you have a dispute with the society. How to get those documents? CONSUMER COURT IS NOT A FORUM FOR RESOLVING DISPUTES. Therefore, don’t mention personal disputes. YOUR CASE MUST BE ABOUT THE “BUSINESS” OF COOPERATIVE HOUSING SOCIETIES. SERVE NOTICE & ALLOW SUFFICIENT TIME (15 DAYS) TO CORRECT THE DEFICIENCY. CONSUMER PROTECTION ACT IS NOT CONCERNED WITH OTHER LAWS. THIS IS “ADDITIONAL REMEDY” AND NOT “ALTERNATIVE REMEDY”. ONLY AGGRIEVED PARTY HAS RIGHT TO FILE CONSUMER COMPLAINT. CASE IS AGAINST HOUSING SOCIETY, AND NOT AGAINST INDIVIDUALS. JEBY’S GUIDE IS CREATED BY SHRI J.B.PATEL (Jeby) – CHS ACTIVIST for free distribution. Those aggrieved in Co-operative Housing Society matters may seek his free guidance and help. Enclosed is the Newsletter from Consumer Education & Research Center, Ahmedabad. Bill for “Free Service” ?